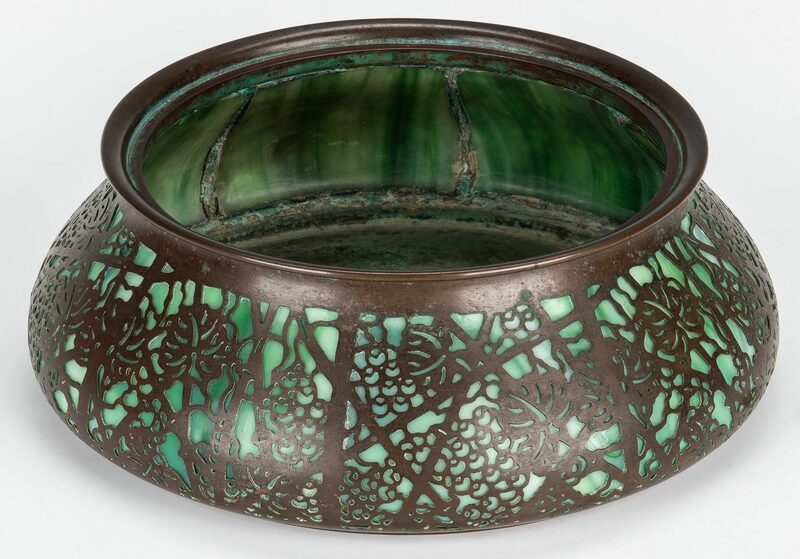 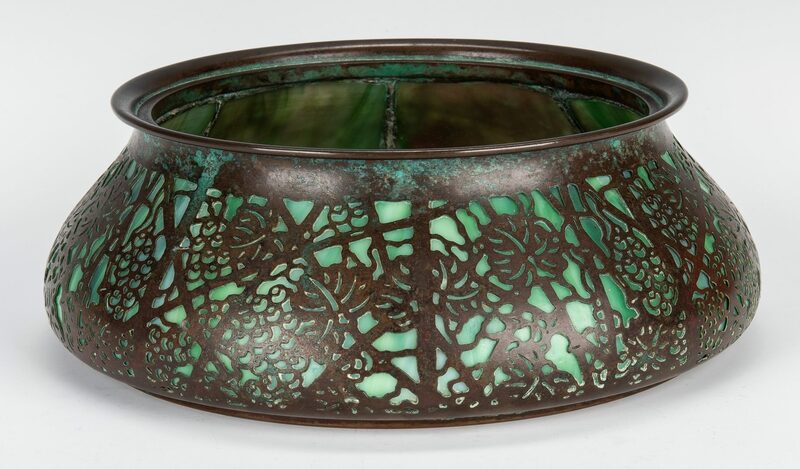 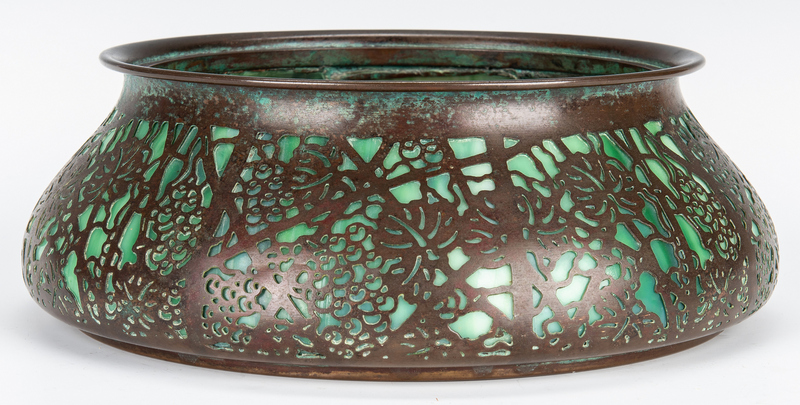 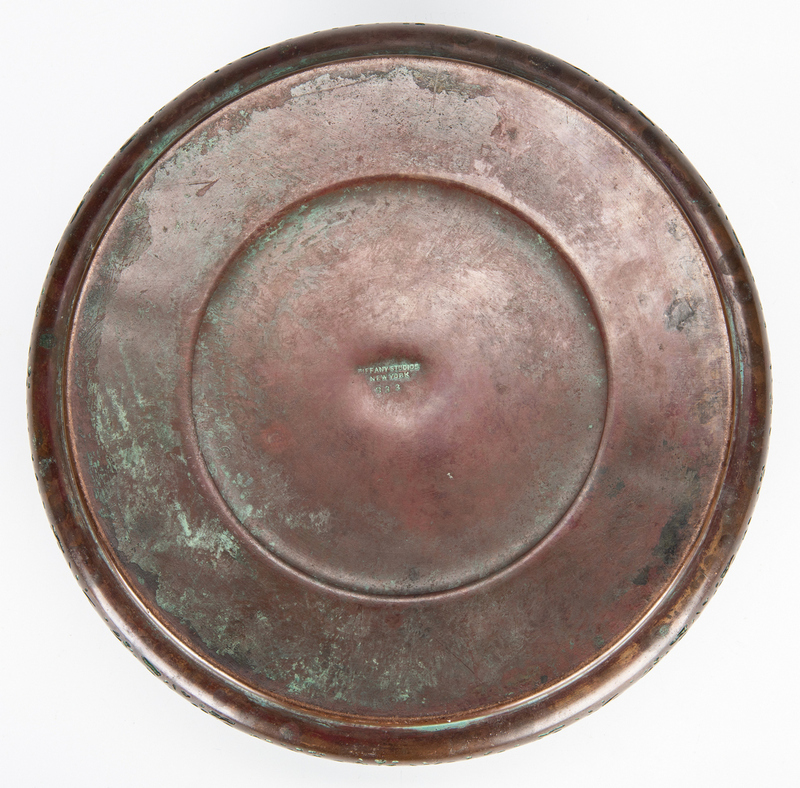 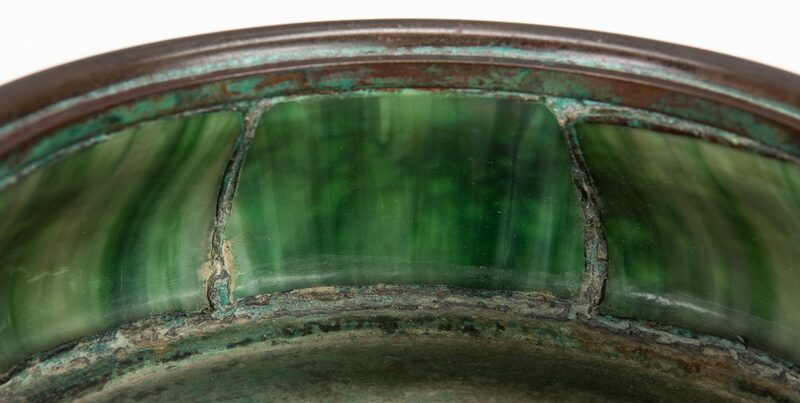 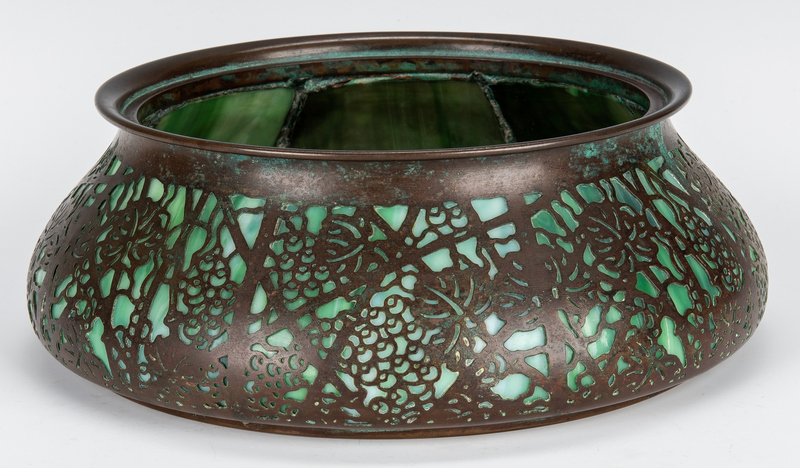 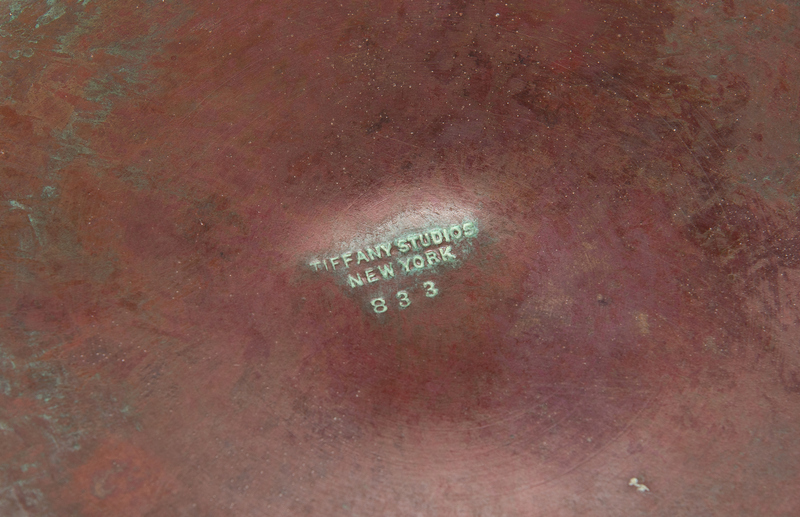 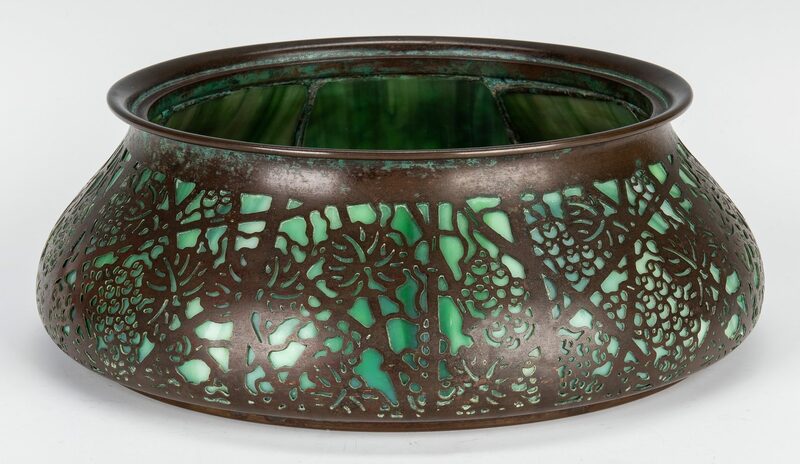 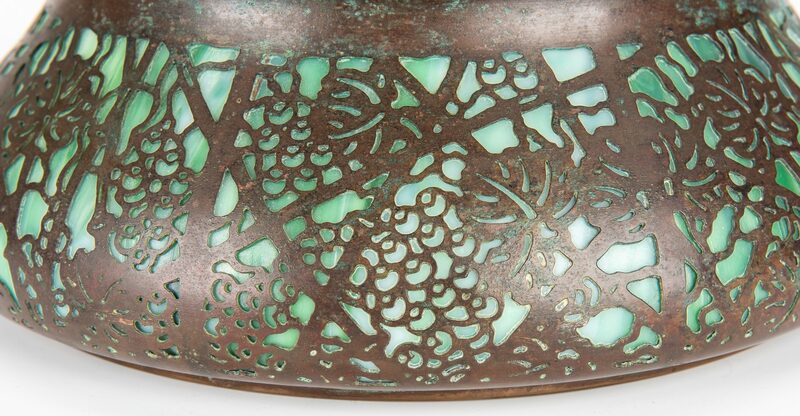 Tiffany Studios bronze and green slag glass planter, also called a ferner or jardiniere, in the Grape Leaf design, marked on base "Tiffany Studios New York 833". 3-3/4" H x 10-3/4" dia. 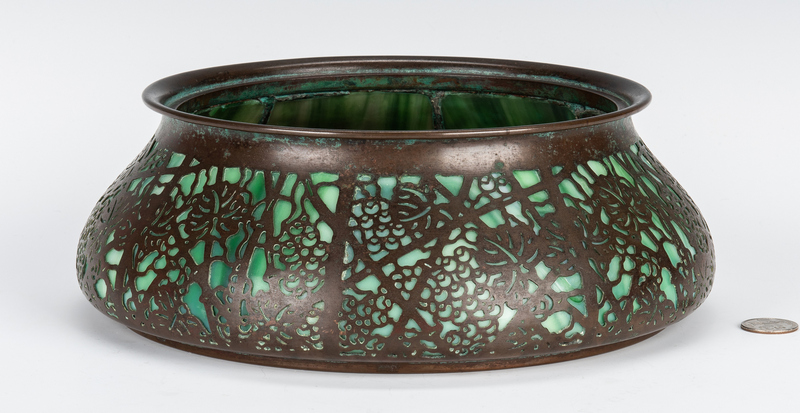 American, early 20th century. 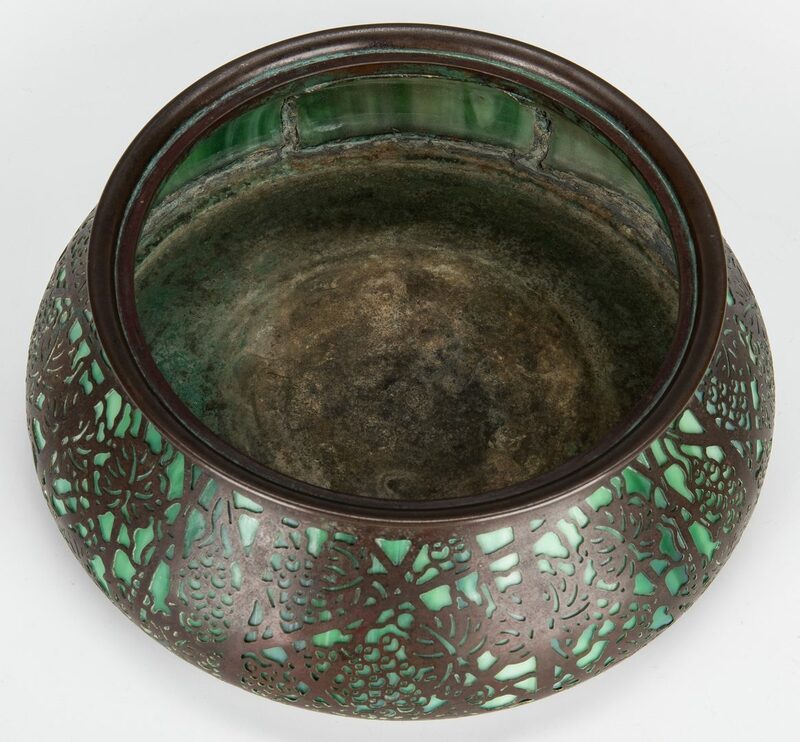 CONDITION: Light oxidation, overall very good condition.